Many insurance companies are requiring that a safety system be put into place to satisfy the National Fire Protection Association (NFPA) – see codes 13 and 230. 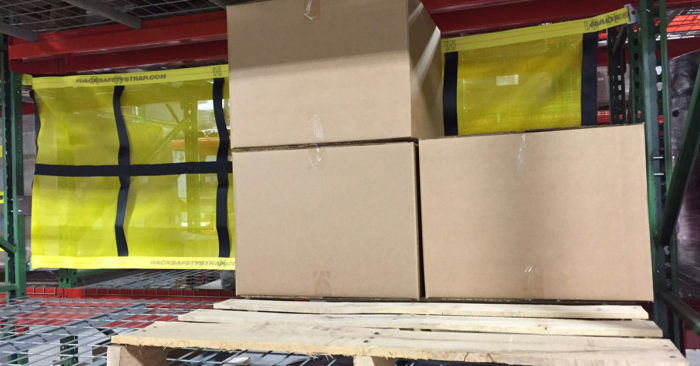 This can lead warehouse managers to purchase costly rack protection systems which are difficult and time-consuming to install. 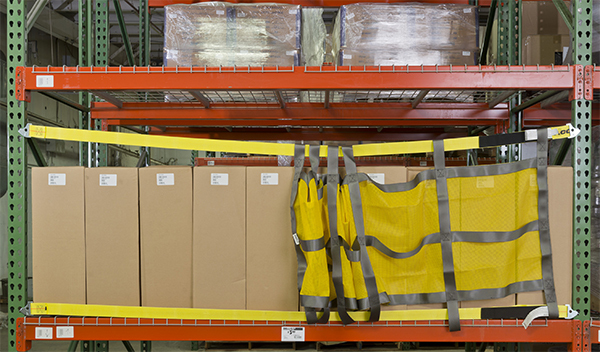 Adrian’s Rack Safety Nets offer a simple, cost-effective, rack safety netting solution for warehouse rack arrays. Whether you need safety netting on the front or back of your racks, we have your no-tools-needed solution. To discuss your specific needs or place your order contact a member of our sales team at 1-866-423-3638 or sales@adrianssafetysolutions.com. The fixed version is specifically designed to mount to the back of the rack to prevent push through and keep your flue space clear to comply with fire code standards required by insurance carriers. Read more about the importance of keeping your flue space clear on our blog. This sliding pallet rack net adds flexibility to the front of picking bays. The net keeps goods secure and slides to the side for easy access. Like all our safety products, it installs into existing racking in seconds with no retrofit needed.